Join WYP for a weekend in the beautiful desert setting of the Alabama Hills. 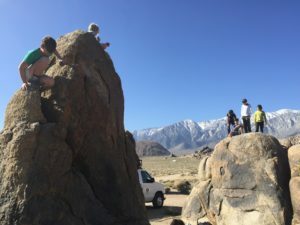 Nestled between Mount Whitney, the highest peak in the lower 48 states, and Death Valley, home of the lowest point in the US, Alabama Hills is a truly unique place. With it’s dramatic rock formations, vast desert landscape, and snowy Sierras backdrop provide for endless opportunities! 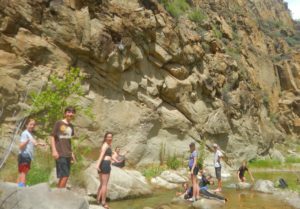 We will spend the weekend exploring the desert terrain, searching for wildflowers and other desert life, scrambling among boulders, studying the night sky, singing songs around a fire, and deepening our nature connection with a new landscape and new friends. Travel time by WYP 15 passenger van estimated at 5 hours each way. All meals provided. Gear list will be provided and, WYP has gear to lend. Get ready for the Peacemakers Journey Journey! 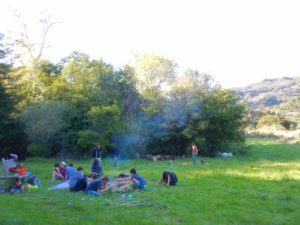 We unite the PMJ clans for this three day backpacking adventure into our rugged mountains, to celebrate the year we have had together and to create new stories. We will connect with the Waters and the Rocks, the Plants and the Animals, and through this Journey, will connect more deeply with ourselves and each other.